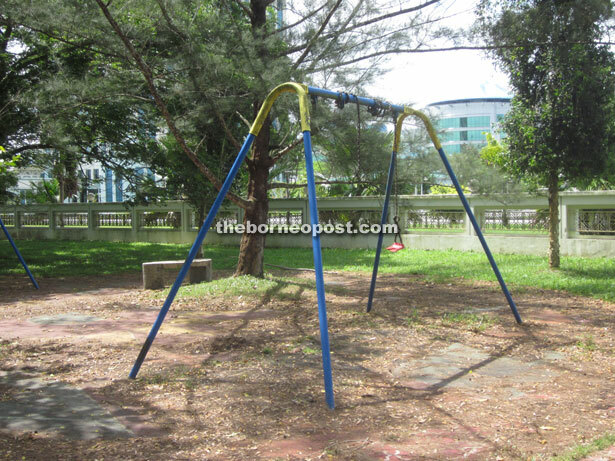 The frame and chains are all that’s left of this swingset at Dataran Pehin. 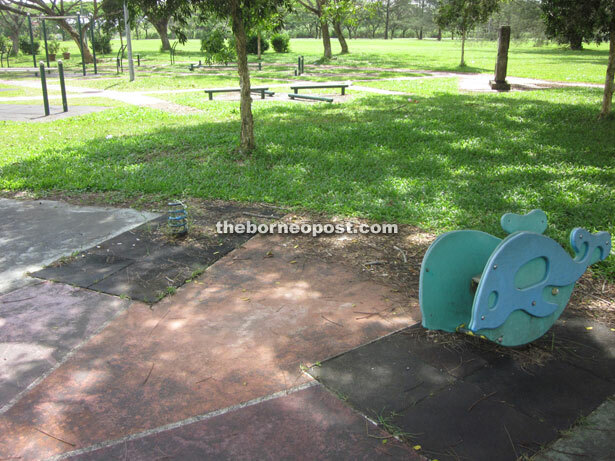 MUKAH: The neighbourhood playground is supposed to be a place of fun and recreation for children and their families, but this has not been the case for Dataran Pehin here for a long time. According to a visitor, the playground is long due for maintenance and is a cause for concern among parents wanting to bring their children over there to play. “As a father, I am worried and have to consider the safety of my children when coming to spend time here. The playground has not been upkept for far too long – it is an accident waiting to happen,” he said, requesting anonymity. He hoped that the responsible authorities would make the playground safe for children again. “The relevant authority should not take this lightly because this involves the safety of visitors, especially children, at the park. Accidents and injuries can result from using rusty and deteriorating equipment,” he pointed out. The safety of the playground’s equipment is questionable, according to a visitor.